Tags: anatoly filatov, partypoker, partypoker live millions, schedule. Posted on Friday, September 28, 2018 by "K". The partypoker LIVE MILLIONS UK is scheduled from September 29 to October 7 at the Dusk Till Dawn Poker Club. This September 29 (Saturday), the partypoker LIVE tour comes back to the Dusk Till Dawn Poker Club in Nottingham for the second season of the world-famous partypoker LIVE MILLIONS UK. This particular event holds a colossal £8,500,000 guaranteed prize for its lucky players spread across five tournaments. 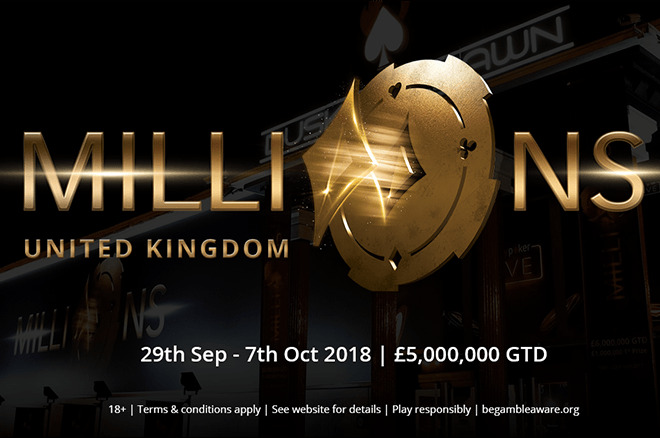 The main feature of the entire festival is the MILLIONS Main Event which begins on September 30 (Sunday), having a dazzling guarantee of £5,000,000. 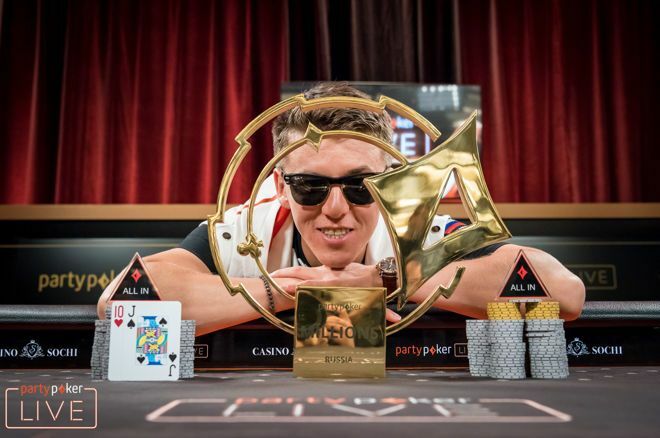 Expect to see the poker world’s cream of the crop coming over to Nottingham, with Team partypoker pros including Roberto Romanello, Sam Trickett, and MILLIONS Russia champ Anatoly Filatov. Interested players can still win their way into the Main Event via satellites on partypoker, from as low as $0.01! 16 comments for "Guaranteed £8.5 Million up for Grabs at partypoker LIVE MILLIONS UK"
with this kind of buy in,you can expect only big prize pools and big number of players!they really try to bring big tournaments every month,no matter is it online or live!but for lot of people this amounts are just dream!maybe with some satellites! But that doenst mean you dont have to try for it. It cant be any cheaper than that, and you never know what can happen. The tournament with number 2 is very interesting. 5300 dollars buy in and 5 millions guaranteed. Instead the $10,300 tournament has only one million and probably does not have many satellites. Those who win these tournaments will be very fortunate. I didnt play any live tournament in my life,so I dont know how would I play if I win some free seat on big live tournament,like Sthep won it from satellites at party poker software!its not same to play when nobody see you and with people on tables in live! Not a dream of mine playing a live tournament. for the obvious reasons The more new players on my table, the easier would have been. free trip to some country/city,especially if its some tropic destination is great,especially when they pay everything,but then to play on live tournament with lot of cameras and pros is different thing!who have few live tournaments in life,this wouldnt be problem,but for new players for sure will! tickets in tournaments like that. I have done so in the past and managed to get that single payment of money. The other got "unlucky" winning the all in getting a ticket. It is very difficult to get tickets in big tournaments playing satellites but you have chances if you are a good player. I managed to win more tickets in 888 poker but the big was only 33 dolllars. It's hard for me to fight with very good players because i have a terrible bad luck, when i need that luck.